Prince George's County Fire/EMS Department: A message from the Bowie Volunteer Fire Chief in regards to brush fire. A message from the Bowie Volunteer Fire Chief in regards to brush fire. Yesterday afternoon at approximately 6:00 pm, units from the Bowie Volunteer Fire Department found a large brush fire, in the wooded area of White Marsh Park. The fire, approximately 2 acres total, was located in a remote wooded area about ¾ of a mile off Annapolis Road. When firefighters made it to the site, there was a large pit, which was 12-15 feet wide by 5-6 feet deep involved, which spread to the adjacent trees and brush. It took approximately 15 Firefighters, 4 hours to extinguish. A tweet was sent out using the official department twitter account that insinuated that there was a relationship between a meteorite and the cause of fire. This was simply not so and the post should have never been made listing a cause. 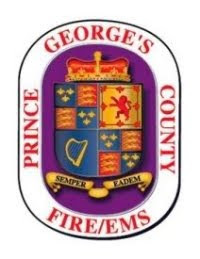 Cause and determination is made solely by the Prince George’s County Fire/EMS Department. As the Chief of the Bowie Volunteer Fire Department, I apologize for the media attention this has created and have put measures in place to make sure this doesn’t occur again.